I have added a step to my writing process and it is serving me well. It has to do with what to do when you get stuck writing a scene, OR how to prevent getting stuck in the first place. As I began novel number five, I did so under the design of structure. I am a huge fan of structure as it relates to story because story without structure isn’t really a story—it’s a narrative or a portrait at best. At worst, it is a ramble. Student of story, yes I am, but that does not necessarily make me a patient student and I use that disclaimer as I find the main reason people do not do the work of construction and preparation before they write a single word of prose is because they are eager to just start writing and get on with it! Writers often fall in love with their words, when they should be falling in love with their story. I feel your pain. I’ve been there. So what was I thinking when I added another “step” to an already lengthy preparation process? Here’s what I was thinking: When you write a story, you must be the God of the world you have created. You must know every detail of the place and every detail of the characters you have placed in it. When you do not know all of the details, you might fall back or rely on coincidence and cliché. The thing about coincidence and cliché is that they strip your story of meaning. They are nasty little buggers. Recently I started writing my new novel and I did so with preparation. I sketched out my concept and premise, wrote a short synopsis, plugged in the milestones (i.e plot points and pinch points) and then backed out of them into my scenes. I have a 40-plus page detailed scene list. Now you would think that would be enough, but I keep remembering this thing about being the all-seeing, all-knowing God of the world I’ve created. So when I write, I look at the scene I am doing for that day. I know the mission of the scene. I know what the protagonist wants and what stands in their way. I know how the scene will move the story forward. But, as you know, you can see all of that neatly spelled out for you and still wonder how you are going to create a thousand words out of it. Enter the Yellow Legal Pad. I’ve just looked at my scene for the day and now I pick up my Yellow Legal Pad and I begin to write down every question and every answer I can think of about that scene. Where is it? What time of day is it, exactly? What kind of watch was he wearing that let you know the time? What did he have for breakfast. How is he feeling. Did he sleep well last night. And I go on and on and on. Now most of those things will never make it into my story, but after several pages of this, the scene (because I already know how it moves the story forward ) is beginning to flesh out. I circle a few things that inspire and inform, and the rest is just the rest. It gets tossed. I am the God of the world I created and I know everything about every scene and character and that’s why I can write a good story and that’s how I stay un-stuck. Writing longhand does an interesting thing to your brain. It uses a different part than typing on a keyboard. It slows you down. And when you are slowed down, you become more thoughtful about your creation. Think about when you first started writing, I’ll bet you were like me. I’ll bet you filled spiral notebooks with everything from lyrics and poetry to short stories and character sketches. I don’t write much longhand these days. I have two computers and a damn iPad and even email myself to remind myself to do stuff! But I have fallen in love with the Yellow Legal Pad, and yes, it does deserve to be capitalized. I may buy stock in the Yellow Legal Pad company. A couple of them are always sitting on the table next to me when I write in the morning. And interestingly, I look forward to picking them up and riffing on my plot and my characters. That’s my new step. A new addition to prep. I love this Robert McKee quote: “Do the work, tell the truth and the results will follow.” The work that he speaks of is preparation. The truth is about how well you know the character so that cliché never exits their mouth onto your page, and the results, well the result is good, tight professional work. Adding in this one step to my process is making my prose better and it is helping me to tell the most compelling story that I can. Seemed like it was worth sharing. How do you develop the scenes in your story? About the Author: Stephanie Raffelock is a novelist and a blogger. Her debut novel is represented by Dystel Goderich Literary Management in New York. 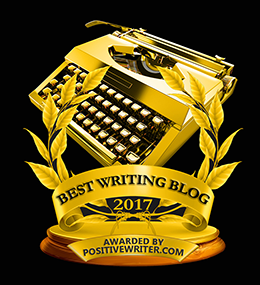 Subscribe to her quarterly newsletter and receive an appreciation gift: “The Writers Dinner,” a unique vision for an entertaining evening. Prev Are You Letting the “How” Stop You? Lots to think about, so many great suggestions and the sketching out the plot/scenes etc before the actual writing is “golden” to the journey. You have proven that it works! For the rest of us, who have trouble doing that first step, of the outline-the scene-list and the pre-story planning, it would benefit us to take your suggestions for success, and find how it works with our own writing process, whether we sit and fly at the keys or whether we are “stuck” and have the fear of the blank page, the point is to get the story down. Fix it and tweak it later, throw out, slash thru, and mold it to your own voice and be true to your story. . .not everything we write is great but not all of it needs to be tossed. Maybe the pre-planning is the push we need to get past the blank-page. GzH, I think we should buy stock in yellow legal pads. I really am using them up that fast. There is something about the long-hand, the scribbles, the circling, the notes in the margin that has become “golden” as you say to process. Good brain engagement, I guess. Thanks for stopping by and giving a read. That’s a great idea. I am now almost 70, so when I was your age, the computer was quite new. I was in the technical field, and everyone wrote everything down in notebooks. So when I first started using a computer for this new concept “Word Processing,” I was unable to think while sitting in front of the computer. I needed to write things down in my notebook first, then copy what I wrote onto the beast. Going back to writing thoughts down longhand, as you said, uses a different part of the brain. My first novel is with an editor. But in my next one, I’m going to give your scene development exercise a try. And since I ride the metro two days a week to teach yoga at George Washington University, it will be the perfect opportunity to do so. Very useful. My only problem with writing longhand is that it doesn’t slow me down enough, so I can’t always read back what I’ve written… but the idea is sound – thanks for sharing!